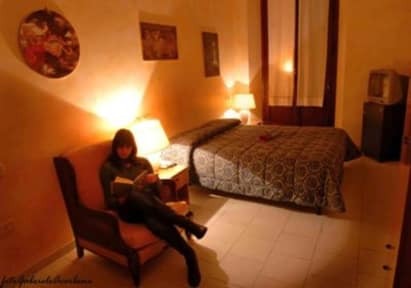 Hotel Lombardi i Florens, Italien : Boka nu! The Lombardi Hotel is located into an ancient and elegant palace of Florence, in one quiet road, near the Central Station of ' Santa Maria Novella' (100 meters), the Conferences Centre, the Fortress 'Da Basso' and only five minute walking from the Cathedral. 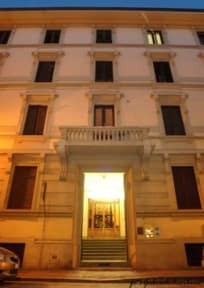 The Lombardi Hotel have 15 bedrooms, (single, double, triple or quadruple rooms), elegant decorated with press of Italian painters of the Renaissance period, all bedrooms are equipped of private services and shower, hairdryer, heating, Air conditioning, Satellite TV colour, direct telephone and Internet Wi-Fi.